In 2018, TOYOTA GAZOO Racing achieved the long-desired goal of winning the 24 Hours of Le Mans and also secured the WRC manufacturers' title, demonstrating that the challenges we have embarked on are leading to concrete results. However, we will not rest on our laurels. In order to deliver the anticipation and excitement of driving to a wider audience, we will engage in the motorsports activities listed below in 2019. TOYOTA GAZOO Racing will compete in the 2019-2020 WEC season. (The driver line-up will be announced at a later date. )With team line-ups, we will also compete in the Nürburgring 24 Hours Endurance Race and other races in Japan respectively. In addition, we will focus on "e-Motor Sports" in collaboration with Gran Turismo SPORT and other racing games. We are engaging in such various motorsports activities to e-Motor Sports. In 2019, LEXUS GAZOO Racing will continue to enter the Lexus "LC 500". 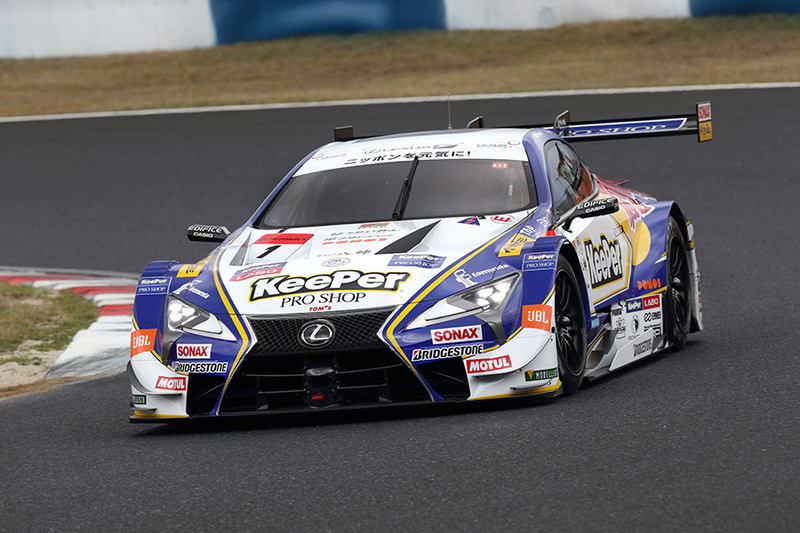 In the GT300 class, TOYOTA GAZOO Racing will enter 2 Toyota "Prius" and LEXUS GAZOO Racing will enter 3 Lexus "RC F GT3" models. TRD will supply the two-liter four-cylinder direct-injection gasoline turbo engine (Biz-01F) for 11 vehicles in 6 teams. TOYOTA GAZOO Racing positions the Nürburgring 24 Hours endurance race as the starting point of activities aimed to make ever-better cars, and will participate for the 13th consecutive year in 2019. Through participation in the race, we seek activities aimed at developing our people and cars, and support the development of Toyota's production vehicles. Toyota will continue to compete in the NASCAR series supported by Toyota Motor North America and T.R.D U.S.A., Inc.
Toyota will compete with the Toyota "Camry" in the Monster Energy NASCAR Cup Series, with the Toyota "Supra" in the NASCAR Xfinity Series, and with the Toyota "Tundra" in the NASCAR Gander Outdoors Truck Series. All vehicles will be equiped with Goodyear tires. Launched in 2015, the program seeks to nurture young rally drivers who can compete on a global stage. With the cooperation of Tommi Mäkinen, drivers in the program will take part primarily in WRC2, and continue their development through participation in actual rallies. Seven events and 14 races have been scheduled. Toyota began its 5 Continents Drive Project in Australia in 2014, with the same aim for "ever-better cars" as motorsports activities of TOYOTA GAZOO Racing. Employees drive Toyota vehicles by diverse types of roads used by customers around the world, gaining experience and knowledge of road conditions that cannot be predicted or replicated on test courses. The understanding obtained in this exercise supports Toyota's goal of creating "ever-better cars," and cultivates expertise in employees. With the milestone year of 2020, when Tokyo hosts the Olympics and Paralympics approaching, TOYOTA GAZOO Racing continues to carry out 5 Continents activities. In 2018, Toyota employees participated alongside members from SUZUKI MOTOR CORPORATION, Hino Motors Ltd., and TOYOTA AUTO BODY Co., Ltd. in the Africa stage of the project; a total of 76 people covered 10,600 kilometers over a period of two months. The team drove across Africa's diverse and wide-ranging roads, where they experienced first-hand the harsh conditions in which vehicles were used and listened to direct feedback from African customers. As a result, team members were moved to consider what it meant to make "ever-better cars," exchanged views with their colleagues, and devoted themselves to thinking about cars. In 2019, Toyota will move to Asia and embark on the sixth and final leg of the project, starting in the Middle East. 20,000 km 72 days Deserts, poorly maintained roads, and other rough terrain were navigated in a region that is said to encapsulate a variety of roads from around the world. 28,000 km 109 days The North American leg was divided into a summer and winter season: Death Valley and other regions of intense heat were tackled in the summer, while Alaska and eastern Canada were driven in the winter. 20,000 km 84 days Mud roads in the tropics, mountain passes at an altitude of 5,640 meters, deserts, and other roads were traveled. 21,000 km 85 days In the birthplace of the automobile, Toyota cars were compared to their European counterparts as they strove to enhance the collection and analysis of driving data. Divided into summer and winter seasons, participating cars drove highways and embarked on long-distance journeys. 21,000 km 49 days Commuter and daily use roads, unpaved roads, high-altitude mountain roads, safaris, deserts, and other road types unique to Africa. TOYOTA GAZOO Racing will race the "Yaris WRC" (Japan name: "Vitz") developed in Finland under the leadership of Team Principal Tommi Mäkinen. The engine is a 1.6-liter direct-injection turbo GI4A, developed at Toyota Motorsport GmbH (TMG). 2018-2019 is a "Super Season," and 2019 begins with Round 6, the 1000 Miles of Sebring, on March 15, 2019, and concludes with Round 8, the 24 Hours of Le Mans, on June 15-16, 2019. TOYOTA GAZOO Racing will compete in the races with two of the improved "TS050 HYBRID" models, which are developed and operated by TMG. 2019-2020 season's line-up will be announced at a later date. We will participate in the highest-category rally championship in Japan, and refine both our people and cars as part of our efforts for making "ever-better cars." The team's engineers and mechanics are Toyota employees, and the company's employees are involved in all aspects of the JRC, from car manufacturing to participation in the rallies themselves. Toyota regularly supports Team Land Cruiser Toyota Auto Body (TLC), which competes in the Dakar Rally with Toyota "Land Cruiser 200." The 2019 Dakar Rally finished on January 17th. TOYOTA GAZOO Racing South Africa, car no. 301, won the rally in a Hilux. This is a momentous first―the first time a Toyota vehicle has achieved this position at the pinnacle of the legendary Dakar Rally. Team Land Cruiser Toyota Auto Body (TLC) , car no. 350, has emerged victorious for the sixth consecutive year in the Production Division category. And Hino Team Sugawara, car no. 510, came in first place, as well, for the tenth consecutive year, with the Hino Ranger in the Truck category (10-liter engine or smaller). The 86/BRZ Race started in 2013 and is a one-make race in which only Toyota "86Racing" and Subaru BRZ RA Racing compete in. Since 2015, the race has been divided into the Professional Series and the Clubman Series. 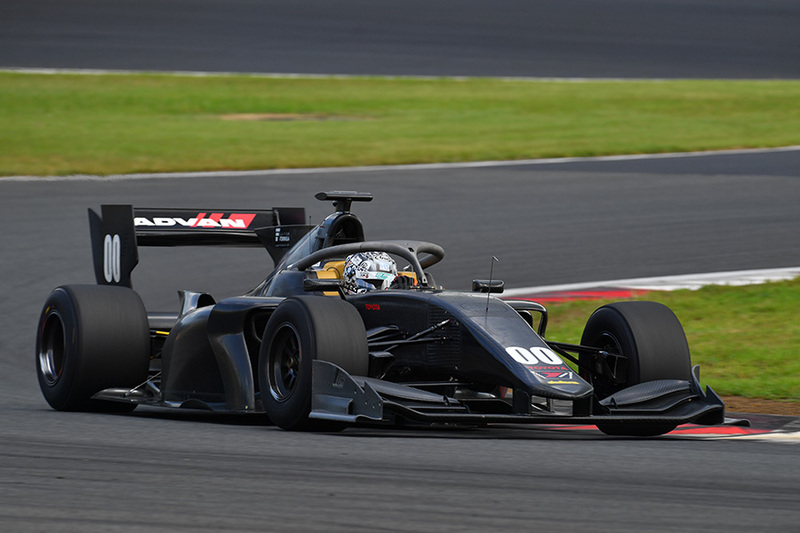 While many professional drivers who have raced in the Super GT and Super Formula compete in the Professional Series, only amateur drivers are allowed to compete in the Clubman Series. The Netz Cup Vitz Race is an amateur race open to anyone who drives a "Vitz RS Racing" or "Vitz GR Sports" Racing Package and holds a class A license. A popular race with a strong and consistent fan-base, it started in 2000 and will mark its 20th year in 2019. The race is held at seven leading circuits nationwide, with more than half of the participants being beginner racers, and many female drivers participating as well. The TGR Rally Challenge is a series of one-day rallies held only on Sundays for easy entry. It serves as an introduction to domestic rallies, and is held at locations across Japan. Part of the series' attraction lies in the fact that anybody with a class B license is eligible to enter with a hybrid or AT versions of 86, Vitz, and "Aqua" models. This is a driving event designed to teach everything from the basic vehicle operations of driving, turning, and stopping, to high-level practical driving techniques, with lessons suited to a variety of skill levels. TOYOTA GAZOO Racing will hold Program 1, at which attendees can learn basic driving operations, at Mega Web; and Program 2, which is designed for sports driving beginners, and Program 3, which is aimed at experienced sports drivers, at circuits nationwide. We will also hold Program 4, which is a practical program for people intending to compete in the Netz Cup Vitz Race and the 86/BRZ Race, and a Special Program, at which attendees can experience the joy of cars in non-circuit environments. GR Garage shops seek to become "the most exciting car shops in town"―places where car fans can gather, engage in conversation, and share their love of cars. Forty-nine GR Garage shops are scheduled to have opened by the end of March 2019. 1Test-drive vehicles will vary from garage to garage, depending on the models handled by the managing dealer. 2GR Garage shops and activities will vary according to the managing dealer. For further details, please ask your local GR Garage. TOYOTA GAZOO Racing is working to increase spaces and opportunities for car lovers and motorsports fans to discuss their car-related hopes and dreams, and to talk about the joy of cars. Featuring a range of hands-on activities that demonstrate the appeal of motorsports, this community-based event enables everyone―from children to adults―to enjoy cars and motorsports. Events (1) to (4) will be held in Japan.